The 1. Address in Caucasia and Arabian Countrys for Instalation, PA, Broadcast international tenders and projects. Established in 1961., based in Yerevan, Armenia, branches in Angren Uzbekistan, Tbilissi Georgia, Beyrout, Lebanon for tenders Arabian countrys, has excelled in creating a full range of highly acclaimed lighting effects, sound delivery through international standard lighting & sound equipment for both Indoor & outdoor application for International & Professional shows. Our inspiration has been our Chairman & Managing Director Mr. Sarkis Tatul, who took the lead in early 1960&apos;s to revolutionize the stage shows in Armenia through his initiative & creative mind. His vision & foresight are still steering us through the highly competitive environment even today. 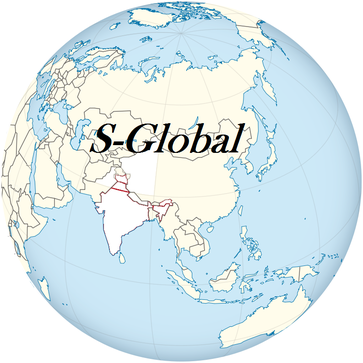 We at S-Global have been keeping pace with changing times & generations by constantly upgrading technology, equipment, techniques, and manpower skills through training and constant re-investment in research activities and Real Customer Satisfaction. With the Globalization of the Armenian Economy & Changing Generations aspirations & perceived value of quality delivery have put Armenia at par with the International standards & opportunities. We offer to the professional theater/event lighting, Broadcast and Sound market a range of products designed & built to the highest quality standards. Aesthetically superior and without comprise in components and equipment, our professional range has been designed to work without problem in the most arduous conditions, in combination with really attractive product design to grace even trendy venues and the most important stage sets for celebrities.S-Global delivers the highest possible guarantee of reliability and safety for all its equipment & creativity, which are specially designed to represent a safe, intelligent and profitable investment for Show, Sound, and Lighting needs of today and tomorrow. Our Mission: Enhance real customer satisfaction through differentiation and value addition. The TeamThe setup comprises of over 45-member team, constituted by educated & skilled Techno savvy & IT savvy Professionals, Experienced Engineers, Technicians and Supervisors. The Team has a huge varied experience gained over the years/decades by catering to innumerable Corporate Product Launches, Fashion Shows Classical Music Shows, Ghazal Nites, Theme Parties, Rock & Jazz Shows of National & International Celebrities across Armenia and Caucasia. Fleet of Transport We have our own fleet of Modern Container Commercial vehicles suitable for Transportation of equipment to anywhere This combined with Our Infrastructure & Associates have strengthened our Turn key job preparedness & capabilities. Pro Audio Lighting Association exhibition held at Singapore/Hong-Kong as an annual feature. Which is the World&aposs pre-eminent Lighting, Sound, Staging & Audio-Visual event where you can catch up with all that is new in the world of Entertainment Communication and Presentation Technology. Intelligent Lighting & Sound Equipment Show held once every two years. 4. IBC Amsterdam , AES. We have acquired professional Stage Show & Intelligent Lights from CLAY-PAKY, GRIVEN, SGM, STRAND Lighting, AVOLITES, PULSAR and many more reputed brands.